Back in 2008, I reviewed the Ultravid 8x32 HD. My conclusion was that it was a very fine binocular. Now I’m looking at the Ultravid HD Plus. To split these close-relatives, look for the Red HD on the ‘plus’ version. But what does the ‘plus’ mean? Plus what? Externally, little has changed. But optically, some things have and it’s mostly about light transmission. The prisms are now made of Schott high-transmission glass – with the claim that ‘the smallest detail can be identified even in late twilight’. There are new coatings, too, which ‘increases both the brightness of the image and the contrast while maintaining accurate colours’. So what are they like to look through? In short, very, very good. The view is natural, with excellent sharpness and very good brightness and contrast. At 7.7 degrees it’s pretty wide, too, a little narrower than its competitors, but only a tad. By today’s standards, the close-focus, quoted at 2.2m, is not exceptional, but in practice is fine for everything bar up-very-close insect watching. The Ultravid gave me some great views of a hovering Migrant Hawker which was reasonably close, and actually, when I measured, I could focus the Ultravid down to about 2.05m. Can the smallest detail be identified in late twilight? At sunset with about 60% cloud cover this little binocular was picking out foliage colour on distant trees and pulling detail out of closer shadows. Fifteen minutes later it was doing the same thing, only less so. By 30 minutes after sunset, there was no sign of any real detail in the shadows, but I could still see a hint of colour on the distant foliage. All in all, no complaints on this front. To get critical, there is perhaps just a little edge softness, but nothing that distracts. There were some occasional reflections, and I did detect a bit of colour fringing a few times – making sure your eyes are lined up properly with the binocular helps with this. I don’t want to overstate any of these – they are minor and I had my reviewer’s head on. In the hand, this binocular has a great feel. The design is simple and elegant and not over-adorned with branding – just the classic red dot. I like the fact that, unlike its bigger siblings (the 42 mm Ultravids), there are no ridges to tell you where to put your thumbs. The build quality is very good. It is waterproof, with hydrophobic coating on the outer lens surfaces, a magnesium chassis, a titanium axle and rubber armouring. 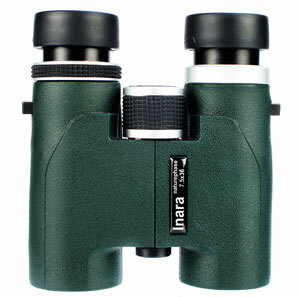 This is a very compact, lightweight binocular – it suits me, but some may find it too small. The two-finger wide focussing wheel is ridged, nicely grippy, and delivers very good focusing precision. It moves very smoothly against moderate resistance with a bit less than one and a quarter turns, clockwise, to infinity. To adjust the dioptre you pull up the top half of the focussing wheel, twist, and then push it down to lock – and you can see your setting through a window. The eye-cups twist up and down with one intermediate position. I found them too stiff, but you are unlikely to be constantly changing their position so it’s not really a problem. The 13.3mm of eye-relief may not be enough if you wear glasses when you use binoculars, and the rainguard was too tight a fit for my liking! This Ultravid HD Plus is a classy, top-end, mid-size binocular, with, to my eye, a retro look. Optically, there’s little to fault and for me, its size and simple ergonomics make it a pleasure to handle. One final point – the other big brands have models in the same niche, with similar specs, but the Leica has the lowest RRP, which, believe it or not, is £310 less than its predecessor. Accessories: Contoured neoprene strap, rainguard; lens cloth, tethered removable objective covers, cordura case. You’re probably sick of hearing us say that advances in optical technology and binocular design have started to have a major impact at the budget end of the market. It’s absolutely true, though. Features such as ED glass, which start off as the exclusive preserve of the pricier models, quickly become common and then even standard right through the ranges. The delay between that first unveiling and general adoption has grown shorter and shorter, too, so the trickle-down effect is even more pronounced. Visionary’s ED model in their new Fieldtracker range is a handsome-looking binocular, with an open-bridge design that makes it extremely comfortable in the hand. It feels good, too, with green rubber armour that’s reassuringly solid yet compact and lightweight, something that could be said about this model more generally. That impression of excellent build quality extends to the eyepieces, which are rubberised, nicely moulded, and twist up and down to three different positions. The same applies to the focus wheel, which is around 1.25 fingers wide, and with prominent enough ridges to make getting a grip easy even with the coldest fingers. It moves beautifully smoothly, too, taking almost two anti-clockwise turns from close focus to infinity, with a little above average resistance. Best of all, it’s quick and easy to find exactly the right position. The dioptre adjustment, a ridged twist-ring on the right barrel, is fine. It’s not calibrated, but it refuses to move accidentally when in use in the field, which is pretty much all that I ask. So, they look good, feel good, but how do they perform optically? Well, initially, I had one or two concerns about a slight halo around the outside of the image, but this soon disappeared, so I suspect it had more to do with my eye position than the binoculars themselves. With that sorted, I was able to get on with enjoying that ED glass, which produces a bright, sharp image with excellent contrast. It tested them in all sorts of conditions, including some very murky evenings with drizzle and hail, and they came through very impressively (the lenses clean very easily, too). There’s perhaps a very slight warm, yellowish cast, but basically the view you get is very natural. Colour fringing, too, was notable by its absence, no matter how hard I looked for it in a variety of different situations. As with pretty much any binoculars, you can find it if you really try, but I think you’d struggle to notice anything while you’re actually watching birds. Field of view was slightly enigmatic. On the one hand, it doesn’t feel quite as wide or ‘walk-in’ as one or two other 8x42 EDs out there. On the other, sharpness to the edge of the image is really excellent, and that large ‘sweet spot’ means that you get full value for what FOV there is. In short, it feels more than wide enough for everyday birdwatching. Close focus is somewhere between 1.5 and 2m (or was for me), which along with their lack of bulk makes these an excellent option for more general wildlife watching. That brings me to the price. At £280, these represent a real bargain, meaning not only that a relative beginner can sample the pleasures of ED glass without breaking the bank, but also that these are potentially a good second pair for someone who already has a more expensive pair of bins. Their all-round solidity and effectiveness makes them perfect for stashing in a rucksack, for example, when out hiking, or in the glove compartment, for a bit of birding on the daily commute. The accessories include objective lens covers, a slightly flimsy-looking but actually very useable rainguard, a fabric case, and a decent neoprene strap. In conclusion, it’s hard to fault these for value. The optics are excellent, they’re nicely put together, and above all they’re easy and very enjoyable to use. Give them some serious thought if you’re in the market for some ED glass. Any optics watcher will have noticed that more and more binoculars are coming onto the market with low dispersion glass and an ‘open bridge’ design. The high prices of top-end binoculars won’t have escaped their attention either. Viking Optical’s Chinese-made ED models, an 8x42 and a 10x42, are the top of their range. 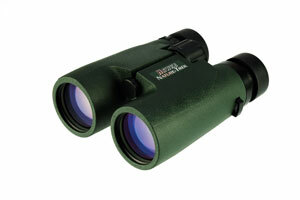 These are described by Viking as ‘premium quality, affordable price’ and ‘a binocular of the highest standard’. They have ED glass, for ‘brighter, sharper images, free of colour aberration’, an ergonomic open bridge, and a price tag with just three digits. The ED42s are supplied with a wide neoprene strap, a hard zip-up case, and a rainguard. I spent some time with the 8x42s and my initial impressions were very favourable, in terms of image quality, build quality and ergonomics. This binocular looks the business, and is very nice to handle. The open bridge worked well for me – two or three fingers found the gap quite naturally with the other hand ready for focussing. For a 42 mm binocular, this is a pretty compact tool. It is fully waterproof and has a magnesium alloy body, and at 710 g is not a heavy binocular. The view is wide and colours are natural, with a slight yellow colour cast, but nothing problematic. Sharpness is very good, and impressive edge to edge, with a hint of softness around the periphery. The image is bright and the EDs did well in low light, even an hour after a June sunset. The close-focus is quoted as 1.5 metres – I managed perhaps a little under 1.8 metres, but I was impressed. I did see a bit of colour fringing, but nothing to get worked up about and there wasn’t a problem when I watched Swifts against an off-white cloud. There were times when I struggled to find the best focus, though this may improve with practice, and times when I felt like I had to turn the focus wheel a lot to focus. It has about 1.75 turns in it, turning reasonably smoothly and quite stiffly, anti-clockwise towards infinity. I did find it tricky to find the best dioptre position, and holding in the button while adjusting the dioptre was a bit awkward. This is something that you don’t do often of course, and once it is set, it locks in place and there is no danger of it being accidentally moved. The eyecups twist up and down with a light action and have three set positions. I found the rainguard a bit fiddly to use – I prefer a sloppier fit – and found that using it sometimes inadvertently lowered an eyecup. For me, the central hinge was a little too loose too, though this could be tightened and may be different on a different sample. Perhaps some of these things could be looked at if there is a Mk. II in the future. 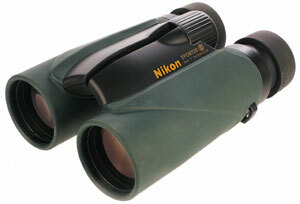 For less than £600 you get an ED binocular that is really nice to handle, not too heavy and not too big. It provides a bright, sharp, wide-angle view with good colours and a decent close-focus. If their spec and price fits your needs check them out. It’s fair to say they’re among the most eagerly-awaited optics we can remember. So, are Swarovski’s new Swarovision EL’s the best binoculars ever? Well, at first sight, they don’t look too different from the original ELs, which appeared 10 years ago. The elegant cutaway design, much imitated since, is still there, along with the familiar dark green rubber armouring. But what about what’s inside? The optics are what has had many a birder giddy with anticipation, and right from the first sight, the wait appears to have been worth it. The first thing that hit me was how wide the field of view felt. In part that’s because, at 133m@1,000m, it actually is (! ), but it’s also a consequence of the new field-flattener lenses, which work to keep the image sharp right up to the edges. There really is negligible distortion, and in practice that has two important effects. For a start, obviously, it means you get full value for that field of view. For another, it means extended periods of watching are much more relaxing for the eyes – there’s less need to keep adjusting eye position slightly. Brightness is exceptional, too. The ELs are quite capable of making use of the first glimmers of dawn. The glass and the Swarovision coatings used mean that even in the lowest of lights, these binoculars cut through the murk to pick out an incredible amount of detail. They shrug off rain pretty well, and it was easy to get the lenses clean. Colour is satisfyingly natural, with contrast also very impressive, all adding up to a very vivid, ‘walk-in’ feel to the image, and chromatic aberration (colour fringing) was very difficult to find even viewing against the brightest light. I did feel that depth of field was fairly shallow, but that was never a problem, because the focusing system itself is such a pleasure to use. The focus wheel is a generous finger-and-a-half wide, which along with the ridged finish makes it easy to use while wearing gloves. Travel is smooth and, initially at least, reasonably stiff, making it easy to avoid accidental movement, and focussing is extremely precise. It takes a little over two anti-clockwise turns from close focus to infinity. And talking of close focus, it’s claimed as an impressive 1.5m, but in practice I found that probably a little bit conservative. The dioptre adjustment is calibrated and, because of the pull-out mechanism used, impossible to dislodge accidentally. The rubber-covered eyecups twist up and down into three different positions, and proved very comfortable in extended use. I had one or two concerns about how well they’d stay in position, but there was no problem. They’ve been designed with the intention of improving things for wearers of spectacles, and those glasses-wearers I tested them on found the extra levels of adjustment a great help. You might expect, with all that high-quality glass being used, that there’d be a penalty in terms of weight and size, but the magnesium body keeps the former more than manageable, and they’re impressively compact and well-balanced. Everything about the design, down to the well-placed thumb indents, makes them a pleasure to use for long periods. The rainguard and objective lens covers both attached securely while remaining quickly removable, and the neoprene strap was comfortable, easily attached and easily adjusted. This does all come at a price. To start with, at least, you’re looking at £1,745 for a pair. Depending on the type of birder you are, you might decide that the optical advances made here aren’t what you need. As with any of the high-end binoculars produced in recent years, though, you’d be buying in the knowledge that you’ll probably never need another pair of bins, should you so choose, because the ELs appear equal to absolutely every challenge put in front of them. For a 42mm binocular, this is a wonderfully lightweight product. At 654g their weight is more like that of an 8x32, and they’re not that much bigger than some 8x32s either. The alloy body is covered in lightly-stippled rubber, nitrogen-filled and waterproof to five metres. The design is simple and unfussy – their size, shape and weight, the armouring and the rubber-covered eyecups all play a part in making a binocular that I found easy and comfortable to handle. The view is good too – sharp and bright. It’s a bit behind some top-end optics but still pretty impressive. There is a little edge softness and a slight yellow colour cast but nothing problematic. Contrast was good and they performed well in low light. Chromatic aberration (or colour-fringing) seems very well corrected. I looked, but couldn’t really find any during the time I had them on test. Close-focus is good too, with the quoted 1.8m being pretty accurate for my middle-aged eyes. At 20mm, eye-relief is generous and should work well for those who need to wear glasses when they’re looking through binoculars. Strap attachment is through simple lugs, and the binoculars hang nicely flat against the body. The one finger wide focus wheel moves smoothly, with moderate resistance. The eyecups twist up and down and have four positions. They worked well for me, providing a comfortable view without any searching for the best viewing position. There were some less positive aspects. The dioptre adjusts via a click-stopped ring under the right eyepiece. I found this very stiff and difficult to adjust. One of the eyecups on the review sample was a bit stiff, but this did seem to improve with use. Focussing works in the opposite direction to most – anti-clockwise to go towards infinity. This doesn’t really matter and, with time, you get used to it. There’s a lot of focus movement too – over two turns of the wheel are possible, though most of the time you won’t need to move it more than about 90 degrees. The strap lugs are positioned a bit too low for my liking – they sometimes got in the way of my hands. When I first looked through these binoculars, the view felt a little ‘tunnelled’. I’m not sure why - the reality is that at 7.2°, the field of view is pretty good. With use, this wasn’t a major issue. And, as is so often the case, the rainguard was far too tight a fit, but you can get a different one. If you want a good quality, really lightweight, compact 42mm binocular try these. They are good to handle and perform well optically. If you don’t want them in black, you can opt for green, or black and gunmetal instead! I did think they were a bit pricey though. Beautifully smooth focussing – I like it! They’ve been a long time coming, but Nikon’s EDG binoculars, complete with eco-glass optics, have finally arrived. These are top end Nikons with top end prices that compete with the best that Zeiss, Leica and Swarovski can offer. There are five models in the EDG range, an 8x32 and 10x32, and a 7x42, 8x42 and 10x 42. I tested the 8x42. At almost £1600 these binoculars need to be very good. They are. If you are familiar with Nikon’s HGLs, you may know that their shape was not to everyone’s taste. The EDG is different – its shape is closer to a classic roof-prism binocular, with unobtrusive thumb areas underneath. It felt very nice in the hand and I really liked the grippy feel of the rubber armouring. It is easy to hold ‘conventionally’ and while Nikon haven’t gone for an open-bridge design, the short bridge leaves plenty of lens barrel exposed at the front end so a similar effect is achieved. Magnesium alloy lens barrels help to keep the weight down – at 785g their weight is reasonable and they didn’t feel heavy when I was birding. They are a well-balanced binocular, and as you would expect, they are waterproof and nitrogen-filled. Build quality seemed very good. Inside that lovely body there are some state of the art optics, with ED glass, dielectric prism coatings and field flattener lenses. The view was great, easy on the eye, sharp and bright. Low light performance was very good, though they failed to conjure up a Nightjar for me at first! All was not lost though and four days later I had one of my best Nightjar encounters ever, complete with close fly-bys. The brightness of these binoculars is hard to fault, as is their sharpness. There is a bit of edge softness if you start looking for it, but in normal use the view appears edge to edge sharp. There may have been just a tad of chromatic aberration, but I didn’t notice any of any consequence. I also detected a slight yellow colour cast – this is just an observation, definitely not a criticism. Contact: Nikon UK Limited, 380 Richmond Road, Kingston upon Thames, Surrey KT2 5PR, Tel: 0208 541 4440. Brochure line: 0800 230220. Focusing action and precision is very good. More movement is possible than on my old HGs – the EDGs move moderately stiffly a bit over one turn (clockwise towards infinity). Focussing is beautifully smooth, and fast. If you have never experienced top end Nikon focussing, try it! Close-focus is quoted as three metres. I could focus down to around 2.5 metres, which is more respectable but not as good as what some of the competition offer. It is reasonably close though, so I don’t think this is a deal breaker. To adjust the dioptre, pull up the focussing wheel, turn it, and push it down again to lock it. I found that both the dioptre scale and the focuser moved when setting the dioptre – this was a bit disconcerting, but didn’t cause any problems. The eyecups are rubber-covered and comfortable against the face, twisting up and down to one of four positions. I discovered a ‘pseudo-fifth’ position, with there being a little more movement beyond the outermost setting. The package also includes a case, tethered objective covers and a rainguard that worked well. The branded neoprene strap has quick-release length adjusters. This sounds a good idea, but I don’t think I would use it often. And whereas my HGs used to hang at a funny angle – with the eyecups sticking out a little – these hang just fine! I enjoyed using these binoculars. In terms of optical performance and ergonomics the EDG 8x42 is hard to fault, providing a gorgeous view and very nice handling. They are expensive. But they are not the only binoculars at this kind of price. You’ll have to decide. Quick close focus – useful for bug-watchers? Minox HGs have been around since 2006. The current versions have a wider field of view than the original models, and two APO HGs have been added to the range, an 8x43 and a 10x43. These look much like the original HGs, but have a gunmetal grey focussing wheel and dioptre adjuster, rather than silver ones, which weren’t to everyone’s taste. The differences are more than cosmetic however. The APO HGs feature ED glass in the objectives and eyepieces and apochromatic lenses so the view should be even better. They are more expensive too. I got to play with the 8x43 APO HG, currently made in Germany, which has a list price of £1,399, positioning it among top end optics. Their handling and weight was excellent – they felt good in my hands and two fingers and a thumb found the focussing wheel very easily. They feel like a quality, well-made binocular. The body is made of magnesium which helps bring the weight down – they weigh just 650g which makes them significantly lighter than any obvious competitors in this price range. The view is very good – easy on the eye, sharp and bright. Resolution is impressive and brightness and contrast are very good too. I detected a very slight yellow colour cast, but it wasn’t a problem. Focussing is very precise and I liked the feel of the 1½ finger-wide gnurled metal focussing wheel. It moves very smoothly and quite stiffly (not too stiffly!) through just under one full turn, anti-clockwise to infinity. Differential gearing has been used to achieve a ‘quick close focus’, and the wheel is calibrated so that it can be used to estimate distance. The 7.2 degree field of view (126m@1000m) puts them in the same ballpark as the competition. Sharpness is very good across most of the field of view, with a little softness at the edges, but nothing to be concerned about. They perform well in low light, picking out the yellow on a distant Blackbird’s beak 25 minutes after sunset. I did sometimes see some colour fringing, even in the centre of the image, but you may be less sensitive to it. Close focus is quoted as 2.5m, which is pretty good, though I managed about 2.3m. The APO HGs have 19.5mm of eye relief, which should be plenty for glasses wearers. The eyecups are rubber covered and twist up and down to any of four positions, with excellent mechanics. Dioptre adjustment is achieved by pulling up a ring under the right eyepiece, turning it, and pushing it down to lock it in position. They are waterproof and argon filled to stop them fogging, and the objectives are coated with ‘Minotec’, which repels water and makes them easier to clean. They come with an impressive lens cleaning kit, with a lens cloth, lenspen and environmentally friendly ‘anti-fog solution’, all in a nice zip-up leather pouch. Other supplied accessories include a 3cm wide neoprene strap, a rainguard that can be removed from the eyepieces without too much of a fight, and a black leather case. I wasn’t keen on the superfluous wooden presentation box that the APO HGs are supplied in. It’s an impressive box, but once you’ve taken the binoculars out, what will you use it for? Still, this is an impressive binocular that handles well, is lightweight and well made and delivers some very good views. It gets high marks for resolution, brightness and contrast and has a decent field of view. I did see some chromatic aberration, but try them for yourself and see what you think – your experience could be different to mine. Can they take on the competition? Time will tell. Meopta has carefully built a reputation as one of the leading binocular manufacturers outside the Big Four of Leica, Nikon, Swarovski and Zeiss. Its Meopro range, however, comes into a rather lower price bracket than is usual for the company, with these 8x42s costing £370, compared to the £750 you’d pay for its Meostar B1 range. So, the price is very attractive, but do they maintain the company’s previous high standards? Well, the image immediately struck me as bright, sharp and wide – a very good start! The colour is very natural, and there’s relatively little drop-off in sharpness towards the edge of the image. It all makes for an easy viewing experience. Against really bright light, I did find a certain amount of chromatic aberration (or colour fringing), although no more than you might expect from non-ED binoculars. It’s not a great distraction, though, and I had to go looking for it. I found the focusing system something of a double-edged sword. On the one hand, it sometimes took a little longer than I expected to find the exact focus I was looking for (suggesting perhaps quite a shallow depth of field). On the other hand, once I had found it, it was very impressively spot-on, giving the sort of ultra-sharp views you don’t find in too many binoculars at this price. Part of the reason it took some getting used to, I suspect, was that the focus wheel travelled pretty lightly, although incredibly smoothly. But if that forced me to make the effort to be a little more patient and a little less cack-handed than usual, then maybe it’s not a bad thing. The one-finger wide focus wheel takes one-and-a-half clockwise turns from close focus to infinity, and close focus easily matched the quoted figure of 1.5m, making them very impressive binoculars for bug-watching. The dioptre adjustment is situated just behind the focus wheel, and resisted any accidental movements throughout the time I was testing the binoculars. Most other aspects of the build quality (Meopta’s binoculars are assembled in the Czech Republic) were impressive too. There’s plenty of rubber armouring on the body, but it really felt very light, which combined with the excellent strap (of which more later) had me genuinely forgetting I had them round my neck on a couple of occasions. The eyecups, which twist up and down to three positions, were good, too. In extended use, they were extremely comfortable, and there’s plenty of eye relief offered. I did have one or two reservations. The position of the strap lugs meant that the binoculars never quite sat flat against my chest. It’s not a huge problem, but it might be something that could be addressed in later models. The moulding also made the strap lugs slightly difficult to thread, but of course that’s not something you’re going to have to do very often, and the strap itself more than makes up for any inconvenience. Padded with air cells and with lots of room for adjustment, it’s as good a strap as I’ve ever come across. OK, it’s never going to be a deal-breaker, but it did genuinely add to my viewing pleasure. There are good tethered objective lens covers, and a rainguard that did seem a little too loose fitting, although in practice, once attached to the strap, that wouldn’t be too much of a problem. The carrying case was excellent, too – roomy and well-designed. In conclusion, then, there’s an awful lot to like about these binoculars. Meopta maintain their usual excellent optical standards in a design that’s largely a pleasure to use. The few gripes I did have might not feel like problems at all to another viewer, so if you’re in the market for a sub-£400 pair of bins, you’d be well advised to take a good look at, and through, these. Contact: Marchwood, Unit 4.06 Cannock Chase, Enterprise Centre, Walkers Rise, Hednesford, Staffs WS12 0QU, tel: 01543 424 255. In 2005, Meopta, a Czech company, introduced the Meostar B1 range. The 42mm Meostars have been highly praised for their optics, but, at pushing 900g, have been held back by their weight. This year saw an addition to the line, the 8x32, which, at under 600g, is a lightweight. But does it have the heavyweight optics of its chunkier siblings? This is a small, lightweight binocular that felt very good in my hands. The aluminium alloy body is covered in green rubber armour, with some stippling to improve grip and with thumb indents underneath. For me, the thumb indents worked – they were well positioned and didn’t interfere with my natural use of the binocular. Build quality feels and looks impressive, and given Meopta’s history of manufacturing for the military, I suspect this binocular can take some abuse. It’s stuffed full of nitrogen, is waterproof and fogproof and will work from –45°C to +55°C - adequate for most bird watching(!). The moving bits are good too. Dioptre adjustment is via a click-stopped, uncalibrated wheel on the focusser. It offers three dioptres of adjustment in either direction, works well and couldn’t be moved inadvertently once set. The rubber-covered eyecups have a good, solid action, twisting up and down to any of three positions. Focussing is smooth and precise, with moderate resistance. The 1.5 finger- wide ridged focussing wheel provides good grip, even with gloves on, though it sometimes stuck at closest focus. It takes about 1.5 clockwise turns from up close to infinity, but for most bird watching you won’t need to move it more than 60-70 degrees. Some people might prefer less focus travel, but that’s down to personal preference. The package includes a strap like no other that I have encountered, and that’s not a criticism. It’s a wide, neoprene strap with lumps on the neck side. Someone has added those lumps to increase airflow and reduce the sweatiness of your neck! Strap attachment is simple, the lugs don’t get in the way and the binoculars hang well against the chest. However, it’s a reasonably hefty strap, and may be more than you really need for these binoculars. So are the innards as good as the outers? Meopta use cold coating on their lenses, rather than vacuum coating, which means you can put more, thinner layers on. Silver is used for the mirrored prism surface – this isn’t ‘di-electric state of the art’, but judging by the view, does a very good job. The view is impressive and bears comparison with the acknowledged top names. It is wide, very sharp and bright, with just a hint of a yellow colour cast, but nothing to be concerned about. Contrast is good, and, hand held with a resolution chart, the Meoptas resolved similarly to an 8x32 from one of the ‘big four’. I tried hard to find some colour fringing, but found very little, certainly nothing that put me off, and I really don’t like colour fringing. I did find some edge softness, but don’t go looking for it – the normal way to use binoculars is to put the bird in the middle! They performed well in low light and have a very good close-focus – I could focus them down to just under 1.7m. Eye-relief is quoted as 15.4mm, which should be just enough for glasses wearers. The accessories are well made, but didn’t perform as well as I would have liked. The rainguard locks on to the eyepieces and can be a real pain to get off – I’d change it. The case is too big, too, so I’d find an alternative. The tethered objective covers hang on by a thread, literally. It looks strange but is done that way so the covers don’t flap up over the lenses when you don’t want them to. It works, but they can be removed and that’s what I would do. 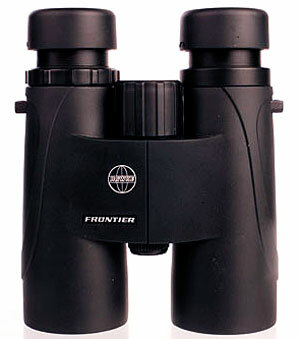 Overall, these are a very nicely put together binocular which delivers a very good view via some lovely ergonomics. Try them alongside the acknowledged ‘top-gun’ 8x32s. Then compare the prices. This Meostar could be a neo-star! 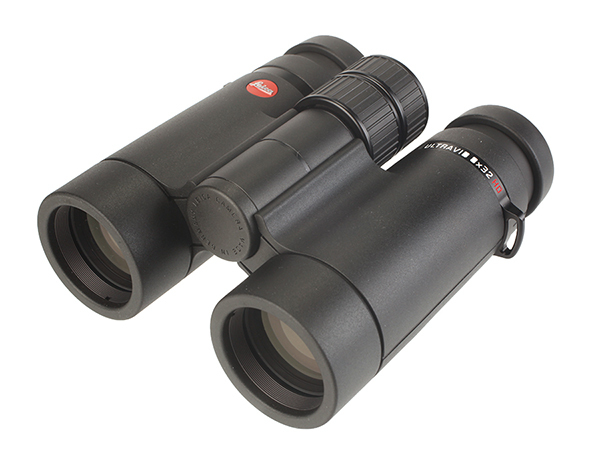 One of the trends in top end binoculars is the use of low dispersion glass to improve the view. Zeiss and Pentax have already done it. Now Leica have done it, and Nikons with ED glass are coming soon too. Ultravid HDs are second generation Ultravids and the range includes 8x32, 10x32, 7x42, 8x42 and 10x42mm models as well as some 50mm big brothers. The HDs use fluoride glass, which should enhance contrast and colour fidelity, reduce chromatic aberration and generally provide an even more stunning view. Some other things have changed too – hydrophobic coating on the lenses, tweaks to the prisms to get a tad more light through, modifications to the focusing mechanism and various things to help the binoculars cope better with side-lit or backlit subjects. One of the first things that strike you about these binoculars is their size and weight, or rather, their lack of size and weight! This is a very compact bit of kit that weighs just 560g. They are beautifully made, with a simple, uncluttered design free of indents and moulding – essentially just two tubes, a hinge and a focussing knob. I found them comfortable to handle, and despite their small size, the strap lugs didn’t get in the way. As you would expect, they are stuffed full of nitrogen and waterproof to 5m, though I didn’t test that – one day I will! I did take them out in the rain though and was impressed with the ‘Aquadura’ lens coatings – the view stayed good throughout the rainy Fen Drayton Lakes experience, and there was so little residual muck on the lenses afterwards that I didn’t bother to clean them. The view is impressive. Bright, punchy, colour neutral and easy on the eye. Resolution is very good, even in low light. I did detect a bit of edge softness but I was looking for it – in practice, I doubt you’d notice. In good light, not surprisingly, brightness was excellent and in low light they did well in extracting detail from dark shadows, and I could even see colour on a singing Robin that was almost silhouetted in fading post-sunset light. Chromatic aberrations seemed very well corrected – I did find a little colour fringing but nothing to get worked up about. The view of backlit subjects was good too. Close focus is pretty accurately quoted at 2.2m, and the view is comfortable at this range too. Also supplied: Rainguard; tethered objective covers; high quality, contoured, neoprene strap; padded, cordura case; lens cloth. .
A criticism of the first generation Ultravids was the ‘lumpiness’ of the focusing. Leica listened and worked on the focusing mechanics. Focusing was smooth and precise, with perhaps just a smidgeon of variability in smoothness, but nothing that would concern me. The focusing wheel moves through 1.25 turns, but for most birding you won’t need to move it through more than about 60 degrees. The dioptre worked very well and is designed so that you can easily see the setting. To adjust, you pull up the top of the focussing knob, twist, then push it down to lock. Take care though – it’s possible to move the dioptre through more than 360 degrees. The rubber-coated eyecups can be set in one of three positions, with a stiff action and very definite click stops. 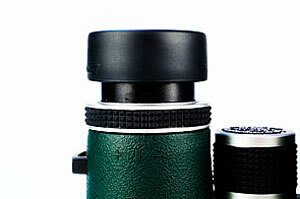 Leica have even designed the case so that the binoculars fit in with the eye cups up – something you can’t always do. The Ultravids also come with the Leica passport. This doesn’t give you VIP treatment at German airports, but does mean that if anything untoward happens to your prized binoculars during the warranty, even if they are accidentally damaged, Leica will repair or replace free of charge. The optics world, especially where binoculars are concerned, has changed massively over the last decade or so. Improvements in glass quality and lens coatings have seen standards inching ever higher at the top end of the market, but perhaps the change has been even easier to see in budget binoculars. The trickle-down effect of new technology has meant that it’s perfectly possible to find several very usable models of binocular for £100 or less, while for £300 you can even get binoculars with ED glass that’s not a million miles, optically, from what the top brands offer. That all means, of course, that cheaper binoculars have to work all the harder to sell themselves. Very few are of anything other than good quality optically, so a bit of extra build quality here and there, or an innovative extra, can go an awfully long way in persuading the customer. Kenko are a Japanese firm with an excellent record where camera and optical accessories are concerned, but this is the first time I’d come across their binoculars and scopes. Optically, first impressions were generally good. The image was sharp and bright – certainly it compares well with others in the same price range – and the colour pretty natural. In low light, an area where the more expensive binoculars score highly, it continued to perform solidly. The field of view was good, too, and the image stays sharp close to the edge, something that’s not always apparent on lower-priced binoculars. Close focus is increasingly a concern for birders who want to be able to watch bugs, butterflies, moths and the like, and the quoted figure of 2.5m felt, if anything, a little conservative. It went comfortably down to 2m, making it very competitive. Focusing generally was good – it was fast and accurate, using a ridged wheel that’s almost two fingers wide, and that takes around a single anti-clockwise turn from close focus to infinity. It travelled smoothly and with medium resistance. There was noticeable colour fringing, though. However much I adjusted my eye position, I couldn’t quite get rid of it. It wasn’t hugely distracting, but it’s worth thinking about. Which brings me on to the design. Very often what appear to be minor optical problems can be easily ironed out by taking the time to set binoculars up properly. The Kenkos did take a while to set up, but as I say, that’s OK – you should really be trying to do this to a whole range of binoculars before you even buy, because what suits one person won’t suit another. For me, a problem was that the eyecups slipped out of position too easily. From the middle of the three positions, it took only a little pressure to start to push them in. It wasn’t such a problem from the fully out position, however. The dioptre adjuster was also too often moved accidentally. Another slight design flaw, for me, was the position of the strap attachment, which meant that the binoculars never quite sat flat against my chest. That’s a shame, because otherwise I found them nice to handle. They’re compact and well-balanced, making them feel even lighter than they are, and they sit well in the hand. As far as extras are concerned, they’re waterproof, and come with a reassuring 10-year guarantee. The case is a bit disappointing, although in all honesty I rarely use one, and the same goes for the strap. In the end, then, the Kenkos are another solid addition to the ranks of sub-£300 binoculars, and well worth looking at. Some of the things I found a little troublesome aren’t necessarily going to be a problem for you, while the optics are thoroughly competitive. Hawke have built a fine reputation in the budget binoculars market, with their Black Watch models, both porro and roof prisms, showing up well in tests yet costing under £100. The Frontiers, though, are their most expensive model yet, representing another step up from the £150 Endurance. So do they justify their price tag? Two things strike you as soon as you begin birding with these binoculars. Firstly, they have an outstandingly wide field of view – at 142@1,000m, it’s ahead of most if not all 8x42 roof prisms around. Certainly they immediately made it very easy to take in whole flocks of wildfowl down at my local reservoir – full marks for this. Secondly, they’re bright, even in low-light situations, and the colour is impressively true to life. There is some chromatic aberration, but even against strong light it isn’t ever enough to be a major distraction or irritant. Contrast is good, and the image resolves well enough (although not right to the edges, admittedly). There was something of an issue with sharpness right up to the edges of the image, with a definite milky halo, perhaps an inevitable result of the massive field of view. Getting your eye position right mitigates against its effects, though, and in practice I didn’t find it causing me too much of a problem out in the field – it’s much more obvious when viewing large man-made objects. Focus was easy to find and maintain, evidence of a good depth of field, and I was also impressed by the close focus. It’s quoted at 2m, but I was able to get closer to 1.7m without any discomfort. Ergonomically, I found them a real pleasure. They’re reasonably light, and well-balanced enough to make extended use in the field easy. The rubber armour gives them a reassuringly solid feel, too. I was impressed with the build quality, too. The soft rubber-covered eyecups have three positions, and loosely lock into position – certainly there was no slippage during use. The dioptre is beneath the right eyepiece, and although there’s no marked scale or locking mechanism, it has wide ribbing to make adjustment in the field easy, and was stiff enough to stay in position no matter how many knocks it took. The focus wheel is pleasantly chunky, too – around 1.5 fingers wide – and takes 1.5 turns from close focus to infinity, traveling smoothly and not too loosely. The accessories are fine, too – there’s a decent strap, an efficient rainguard, and tethered objective covers, plus an excellent semi-solid case – and like most modern bins, they’re nitrogen-filled and waterproof. An unfussy, functional design, with largely very impressive optics at a still very attractive price. Good all-rounders in all conditions, and well-made enough to look a good long-term bet. Before they started causing a real stir with their £300 Frontier ED binoculars, Hawke made their name with their Black Watch 8x42s, which (in both porro and roof prism versions) were among the first to show that it was possible to produce an optically impressive model for around £100. I approached the new Nature-Treks, clocking in at around the same price, full of anticipation, then. And, at first sight, they’re very much in the mould of Hawke’s other recent successes. They strike you as really compact, with a solid, no-nonsense design. Optically, they’re hugely impressive, and at the risk of sounding like a parrot, I yet again found myself marvelling at just how far budget optics have come even in the last five years. In most typical birding conditions, the image is certainly bright enough, although it obviously suffers by comparison to top-end optics in really low light. It’s pretty neutral, and natural, too, with no discernible colour cast. Against strong light, there is a certain amount of chromatic aberration (or colour fringing), which is noticeable right across the image, but always narrow enough not to be too distracting. And, again as so often with modern binoculars, it can be reduced to a minimum by using the adjustable eyecups to find the best eye position for the individual. Sharpness is impressive, too – I rarely found myself looking for that little bit extra, in the centre of the image, at least, although there is a fall-off towards the edges. That probably contributes to the most noticeable difference between these and a more expensive pair of binoculars – the narrower field of view. Not that, at almost 130m@1,000m, it could be called at all narrow, just that the ‘sweet spot’ is rather narrower than on some. Close focus, on the other hand, is really excellent, getting down to below 2m for me with no difficulty. Given how compact they are, that makes them a definite option for a bit of bug-watching. The build quality seems to have kept pace with optical developments, too. There’s absolutely nothing fancy here, but neither do you feel you have to handle them with kid gloves. Instead, there’s a good, easy to grip rubberised coating, and two-position twist-up eyecups that offer an excellent 17.5mm of eye relief. The chunky, ridged focus wheel is about 1.25 fingers wide, and takes around two turns from close focus to infinity. Travel is smooth and consistent, and I found them very easy to focus quickly, with a good depth of field. The dioptre adjustment is a twistable ring on the right barrel that did its job. That all adds up to a pair of binoculars that emphasises ease of use – the fact that they felt rather less than their 665g helped, too. Extras include removable tethered objective lens covers, a rainguard that fitted easily and quickly, a decent case, and a strap that, although I’d probably replace it with an old favourite, is perfectly adequate. It’s clear, then, that Hawke have taken a proven winner, tweaked it a little, and come up with a new model that does an excellent all-round job for just £100 (it comes in 8x32, 10x32, 8x42, 10x42, 10x50 and 12x50, with prices ranging from £89.95 to £129.95). That means that it’s not only an attractive option for the newcomer, but also for the older hand who wants a second or third pair to keep on the kitchen window-sill, office desk, or whatever. Compared to considerably more expensive binoculars (including Hawke’s own) there are certain limitations, but if you want a lightweight, durable, waterproof pair which do a reliable job while hardly hurting the pocket, look no further. With these new binoculars, Hawke have brought ED glass below the £300 mark, something that’s bound to be attractive to many birders. So how do they compare with their ED competitors? The view feels very wide and ‘walk-in’. It’s very bright, too, even when put to the test in murky midwinter twilight, and the image is impressively sharp and natural, with no noticeable colour cast. There’s a hint of a halo, but getting your eye position right soon gets rid of that. Try as I might, I could find very little in the way of colour fringing. Contrast was excellent, too. Perhaps there was a small amount of edge softness, and that halo I mentioned earlier. But that’s nit-picking, because both were easily got rid of by taking a few moments to find the right eye position. Focusing is smooth and precise, with just about enough resistance, The chunky focus wheel is close to two fingers wide, and even with gloves on, it offered good grip and moved easily and smoothly. It takes about 2.5 clockwise turns from close focus to infinity. Close focus was impressive, too – the manufacturer’s quoted figure of 2m seemed spot-on to me. They look good, and feel good in the hands too, with the cutaway design, thumb indents and stippled rubber armour offering comfortable hand positions for extended use. The build quality, especially for a binocular costing less than £300, felt very good. There’s a real solidity that felt reassuring. The rubber-covered eyecups twist up and down to three positions, and stayed in place well during prolonged use. They offer a maximum of 16.6mm of eye relief. The dioptre adjustment, on the right barrel, is not click-stopped or calibrated, but worked fine, and was stiff enough not to get moved accidentally. The neoprene strap was fine – comfortable and easy to adjust. The hard protective carry case is excellent. It’s capacious and contains a smaller, removable section which would attach to a belt. The accessories were good. There are removable tethered objective covers, and the rainguard fitted snugly enough to stay on, but not so tightly that it couldn’t be easily removed. They felt a little heavier than some in the same class, but it wasn’t a problem in the field at all, and I don’t think you’d even notice unless you’d just used a lighter alternative. 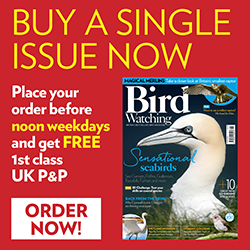 These are bound to cause a stir among birders, because optically, they are really not too far away from much more expensive ED binoculars, yet clock in at just £300, meaning that even some of their mid-priced competitors can end up looking pricey. One issue, of course, is that with more expensive bins, you’re paying for the after-care and durability too, but build quality on these feels excellent and proved fine in extended use. They’re a pleasure to handle, too – comfortable and straightforward, so expect to see more and more of them out there in the field. The Frontier ED 8x42s made a big impression on us when they arrived last year, making high-quality optics very, very affordable, so will this intermediate-sized model live up to its predecessor? As with the 42s, the image immediately looks very natural in terms of colour, and impressively bright. That little bit of extra as regards the size of the objective lenses (compared to the more common 32mm) makes a difference, especially in low light conditions. Contrast and resolution are both excellent, and chromatic aberration (colour fringing) is kept to a minimum, although it did take me a while to find my preferred position – get it wrong and you might see some chromatic aberration, or a halo effect at the edge of the image. But it’s really just a question of taking a while to set the binoculars up, because once you do, the problems very quickly disappear. Field of view (140m@1000m) feels impressively wide, with the image remaining sharp close to the edges. Perhaps the depth of field felt a little shallow, although it was never a problem as the focussing was extremely user-friendly. The eyecups (twist-up, twist-down, with three positions) were comfortable in extended use. The chunky focus wheel is excellent – at almost two fingers wide, and with a heavily ridged finish, it was very easy to handle even while wearing some pretty thick winter gloves. Focussing was precise and easy to find. The wheel takes almost 2.5 anti-clockwise turns from close focus to infinity, and travel was moderately stiff. The dioptre, on the right eyepiece, was click-stopped but not calibrated, was easy to set, and stayed in position while in use. As with the 8x42s, these are hugely impressive performers when you consider that they’ll cost you no more than £300. Your real decision is likely to be whether to go for this slightly unusual size, or the more regular 42s. Personally, I liked the balance they struck between lightness and compactness, and that bit of extra punch that 36mm gives you compared to a 32mm. A user-friendly, and pocket-friendly, alternative to the 42s.